Just two weeks after Prince’s sudden death, his estate allowed his music to appear on an episode of Grey’s Anatomy, raising the question of what Prince, who was fiercely dedicated to controlling the use of his music, would have thought of the decision. Shonda Rhimes tweeted a word of thanks this morning to Prince’s estate for allowing the show to “honor” him. 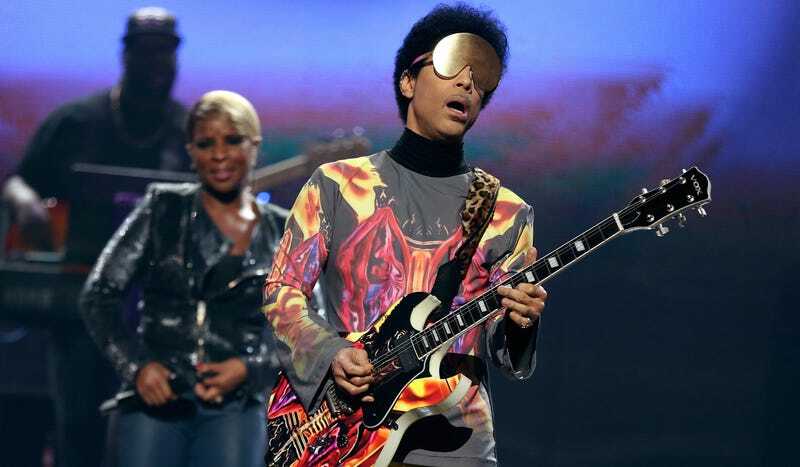 After dying without a will, Prince’s siblings will now have to sort through his $150 million net worth as well as what I’m sure will be the unending requests to use his music. As many discovered in the days following his death, Prince’s music isn’t available on YouTube and the only streaming service with his catalog is Tidal, which was built on the idea of giving artists greater compensation for the playing of their music. A lawyer who spoke with The Hollywood Reporter before it was clear that Prince did not leave behind a will noted that without outlined instructions or guidelines, Prince would lose all control over how his music is used in the future. This is not to suggest that Prince would have refused or been unhappy with his music appearing on an episode of Grey’s Anatomy. His music has been licensed to films and commercials before and he appeared and performed on a delightful episode of New Girl. The difference, of course, is that those decisions were his own, while now, as far as we know, his estate is effectively winging things. On one hand, it’s unfortunate that Prince will not have a definitive say in how and when his work is used in the future. On the other hand, that’s why very rich people with lots of things to protect make wills.